I decided I needed a happy, bright-ish nail polish shade on my nails to combat the grey dreariness of the January weather here in Michigan. 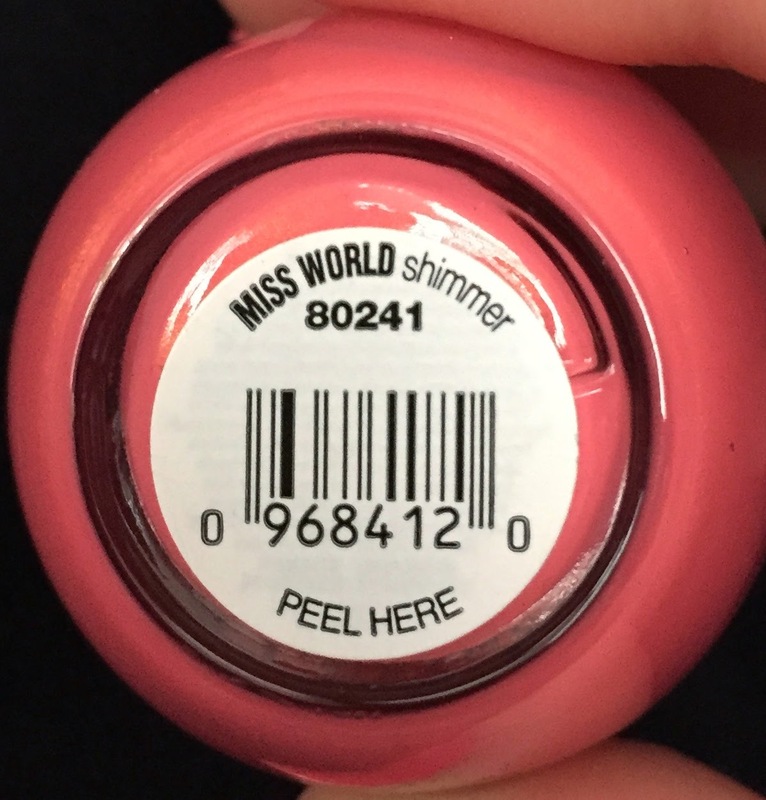 So, I went through my polish collection and found "Miss World" by SpaRitual. 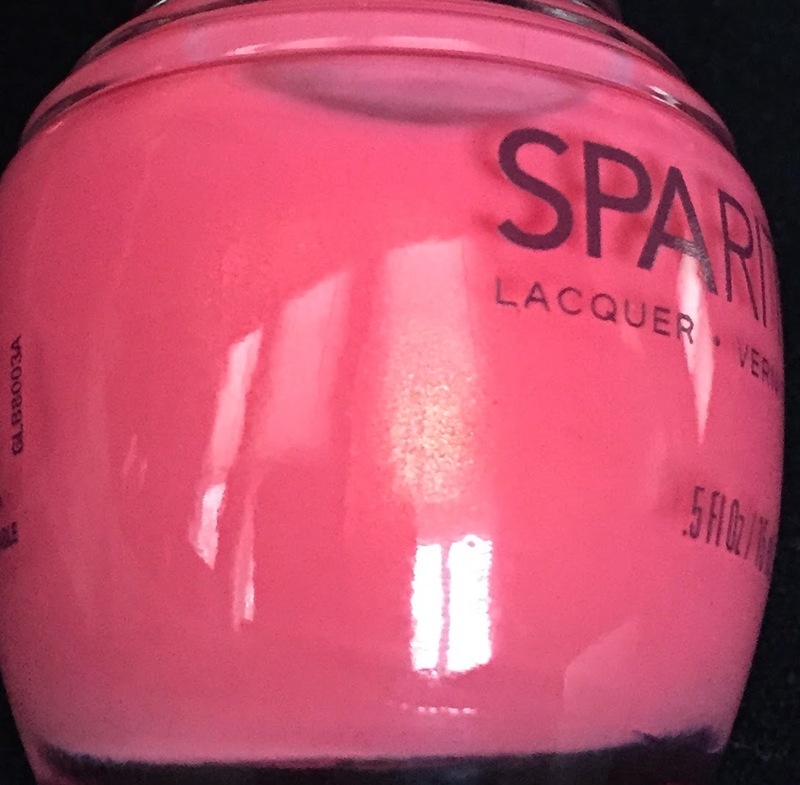 Isn't it a happy coral pink? The sticker says it's a shimmer, but I can only detect the very finest gold shimmer in the bottle. On the nails it looks like a cream. 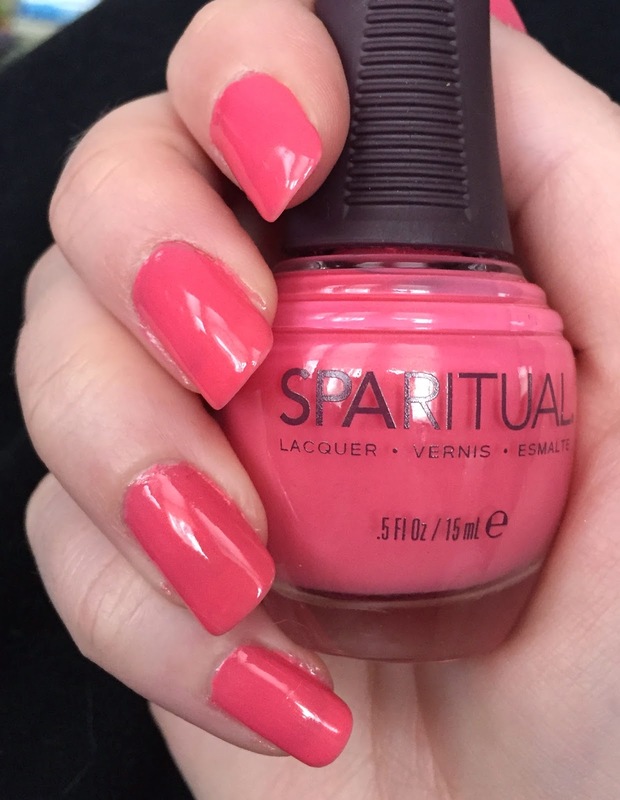 So, what's on your nails right now? This color makes me think of tropical places. That's where I'd like to be right now! This is so pretty! 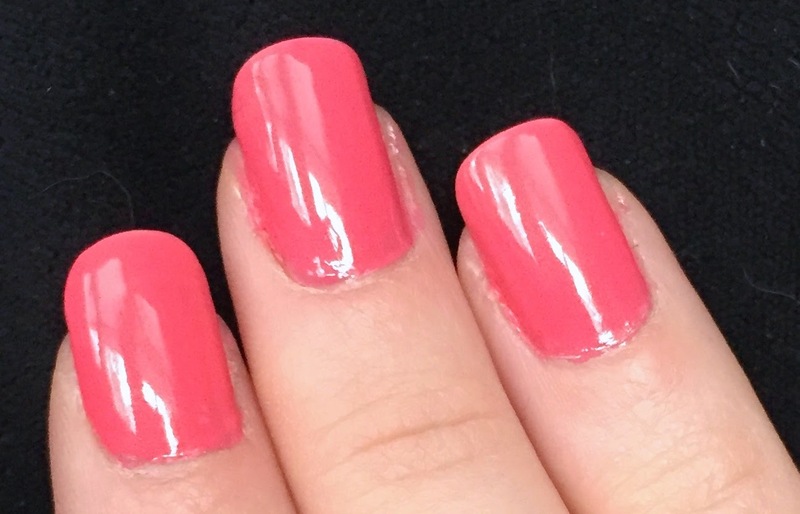 I just painted my nails with a coral color too! I haven't been in the mood for dark colors this winter. I have to be honest and say I haven't broken out any of my bright colours yet...I suppose I've been brainwashed by the industry to "wait" until that magical day when the seasons "change" lol. :-) I did sport some bright peach lipstick the other day though. I totally agree. I do like deep colors in the fall in preparation for dark days, but mid-way through the winter, it's time for some bright colors. Ohhhhh if you go anywhere tropical, you must take me with you! I wore some dark nail colors in the fall, but have been wearing lots of metallics and brights this winter. They feel right this year!